Japan of old did not have a captive black population to use and abuse. So the Burakumin were created to fill that economic and social vacuum at the bottom of society. They are still there. If the job is dirty, or dangerous, or carries a social stigma, hire the Burakumin. They will take the job. They have few options and, like everyone else in Japanese society, need money to live – even in their ghettos. Besides, that’s what a permanent “untouchable” class is for. It was that way centuries ago when the Samurai class created the Burakumin to take care of society’s dirty work. And it is that way now, when the wreckage of four nuclear reactors at Fukushima Daiichi needs to be cleaned up, and the utility does not want to waste trained employees on jobs that will contaminate them and make them ineligible for further work in the nuclear field. The subject of racial discrimination in Japan and how it is playing out in a radioactive environment emerged during a dinner conversation in a restaurant under the elevated subway tracks at 125th Street and Broadway in Harlem as the A-train periodically rumbled by. Tanaka and his colleagues – Kyoko Kitajima, a Tokyo-based union organizer now working at the power plant; and Fuminori Tanba, Associate Professor of Public Policy at Fukushima University and Senior Researcher at the University’s Institute for Disaster Recovery – were taking a break between a week-long series of seminars and discussions on the aftermath of the disaster at the Fukushima Daiichi power plants, owned by the Tokyo Electric Power Company, or TEPCO. They have been meeting with first responders and residents from the New York – New Jersey area concerned about the reality of responding to and cleaning up after a nuclear catastrophe. They had been brought from Japan by four environmental groups – Indian Point Safe Energy Coalition, Riverkeeper, Clearwater, and the Sierra Club – seeking to close the two Indian Point nuclear power plants just 25 miles north of Harlem. There are actually three types of people discriminated against in Japan’s permanent underclass: the Ainu, the Burakumin, and Koreans. The Ainu were the indigenous people of the island of Hokkaido who were dominated for centuries by the Japanese, and officially declared no longer indigenous in 1899 and their land subsumed into greater Japan. Many have assimilated, but thousands remain in ghettos on the outskirts of Hokkaido’s cities. Before and during World War II “more than one million Koreans were brought to Japan as laborers,” said Tanaka, author of Hidden Horrors: Japanese War Crimes in World War II. “They were forced to work in coal mines and arsenals and became kind of slaves after the war because they couldn’t go home again. It is the Koreans and Burakumin who have the dirtiest and most dangerous jobs. The largest, oldest, and most prevalent ethnic group, however, are the Burakumin. “It is a distinction which began in Buddhist tradition,” explained Tanaka. “During feudal times there was a need for jobs that were regarded as physically contaminated. They needed populations to do the dirty work such as raising and slaughtering animals to make leather, or cremating bodies and taking care of sewage. Education is not an easy way out in a country where college slots are reserved solely for those with the highest scores on extremely competitive national exams. “The people in the ghettoes can’t really compete to go to a university or college,” said Tanaka, “because their local schools are not designed for sending kids to higher education. They are geared towards working in trades, so their students are not able to pass the national exams. In that context, nuclear power was seen as a boon to the underclass in the permanent ghettoes. 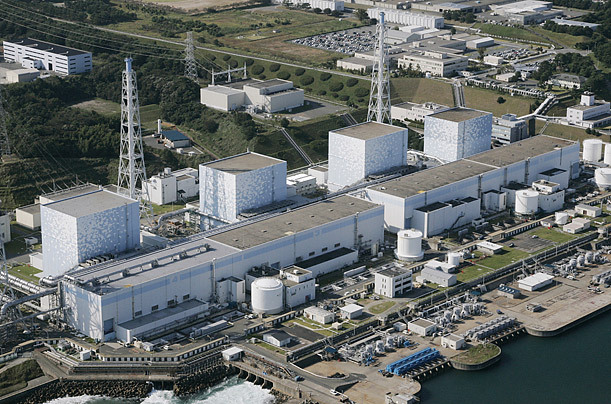 Japan’s 54 nuclear power plants are usually found in clusters, such as the six at Fukushima Daiichi, and all have to shut down annually for refueling and examination. The shut downs within a group usually occur sequentially and can last up to two months. While the Burakumin do not get hired for the full time, professional jobs at the nuclear installations, they are brought in for the temporary annual work. 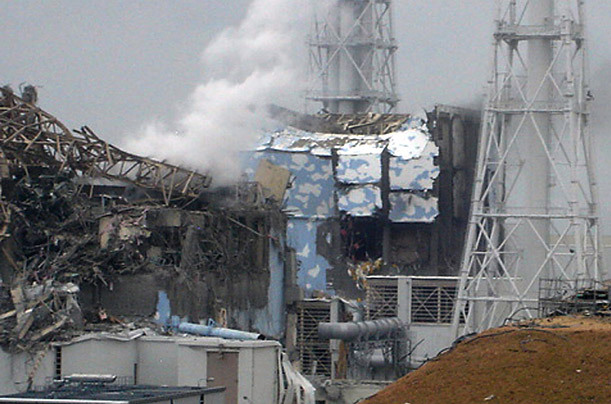 Then came last year’s destruction at Fukushima Daiichi and the destruction of four nuclear power plants. There were full meltdowns of the 100 tons of fuel in each of the first three reactors, while the fuel in Reactor #4 had been offloaded into the spent fuel pool situated just above the reactor itself. But Reactor buildings 3 and 4 shared a ventilation system, and hydrogen produced during the fuel meltdown at Unit 3 migrated across. The resulting explosions blew off both roofs and upper walls. In a sense, this was fortuitous. With the roof and walls gone, the government was able to set up water cannon which kept the spent fuel pools filled. Had the building been intact, that would not have been possible, and the spent fuel would have erupted in an uncontrolled radioactive conflagration. 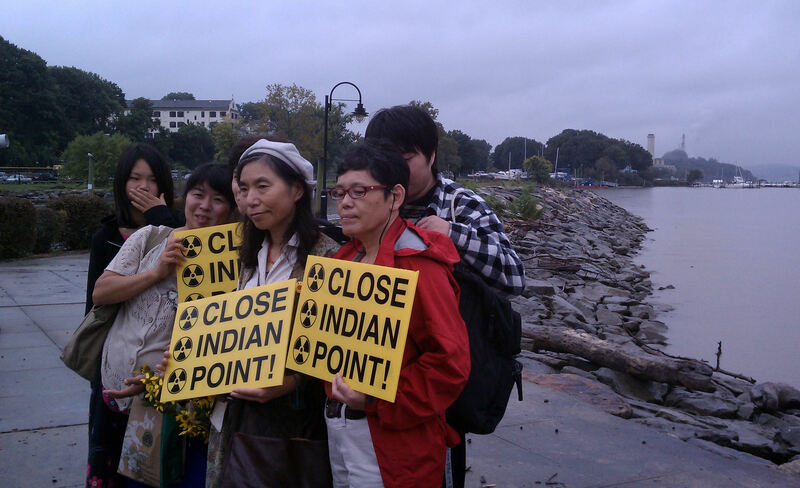 Kitajima, who helped organize one of Japan’s largest anti-nuclear demonstrations last year, was featured at a rally Sunday in front of the Indian Point nuclear power plant in Buchanan, New York sponsored by the four environmental groups. 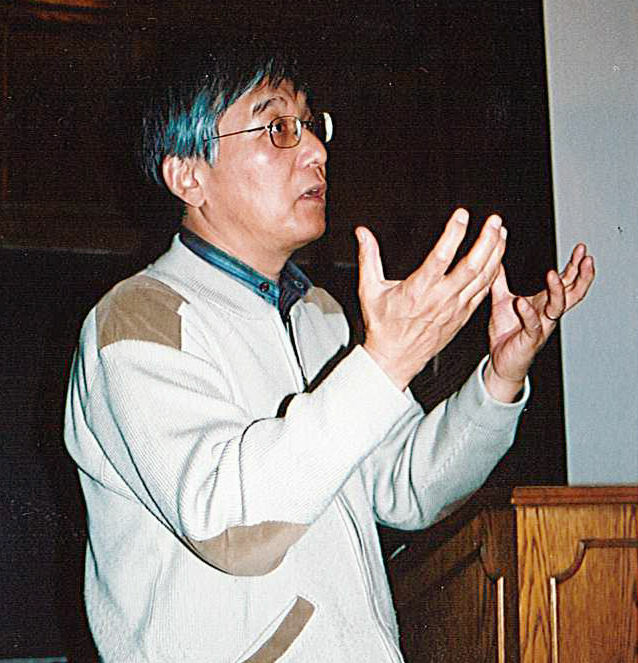 He joined radio host and film maker Gary Null, anti-nuclear lecturer Harvey Wasserman, and Jun San Yasuda, a Buddhist nun from the Grafton Peace Pavilion in New York who is leading a 200-mile, anti-nuclear march which began last week at the Oyster Creek nuclear plant in New Jersey and will end at Vermont Yankee nuclear power station. 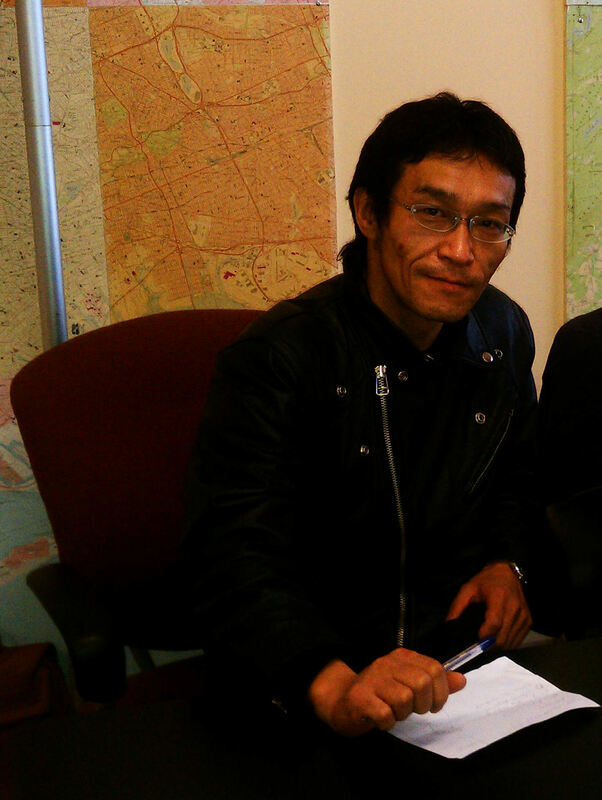 So he signed on with a sub-contractor and got a job at Fukushima Daiichi monitoring the workers for radiation. The workers, he said, wear three layers of Tyvek hazmat suits, goggles and gloves, with heavy layers of tape around the goggles and sleeves to prevent contaminated air from entering the suit. They then enter a second chamber where their shoes, second layer of clothing, and their face masks are discarded. In each room their radiation is measured – but this is surface contamination from the particles in the air. It does not reflect the gamma radiation which penetrated the unleaded clothing and stays with the workers. “Then they enter the third chamber,” he said, “where we measure the radiation on them. If the level is high they go to a different room and get new masks and filters. They cannot take showers to remove any particles on them because the water in the area is all contaminated. They use towels with alcohol on them to wipe themselves clean. Those temporary workers who have received radiation doses equivalent to the maximum allowable annual dose for a full time nuclear worker are dismissed and cannot work again in the industry for a minimum of four years. Japan has a national health insurance program, said Tanaka, but there are high deductibles and minimum payments which the poor cannot afford, particularly for specialty care. Tanaka said the government could establish long term epidemiological studies to determine the impact of the radiation on the health of the workers and their families. “But the government doesn’t really want to know,” he said. As for the workers, protesting is not an option. “I’ve talked to them about organizing for better care,” said Kitajima. “But they won’t. The workers are afraid of losing their jobs. And if they protest, the sub-contracting company will lose their job as well and will be replaced by another sub-contractor bringing in more Burakumin. “They are paid day laborers, and they are cornered financially. They have no other choices. Those workers expect they will suffer from radiation poison or diseases caused by radiation in five years. But they have already given up hope of medical benefits or compensation from the federal government. It makes me angry to think of a system created to force these people to face this kind of danger.